Every aspiring pilot needs to know about type rating. Simply put, you will need to get type rated on the aircraft you are going to operate for your future employer. Probably, you already know, that training and obtaining a licence by accumulating flying hours is necessary to become a pilot. 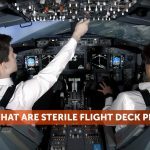 After taking these steps you can operate a single engine aircraft. However, a type rating is a must in order to operate any aircraft over 5,700 kg. So, what is a type rating? Imagine getting a driving licence for a very specific car – this is how type rating could be described. Fortunately, in a real world you don‘t have to get different type ratings for your Audi or Volkswagen but you have to get type rated for different aircraft models. Let’s be more specific. As it has already been mentioned, a type rating is a pilot qualification to operate a specific aircraft type. We all know that a commercial aircraft has a significantly different system and handling features, compared to a standard aircraft covered by PPL or CPL. If a pilot wants to fly a commercial aircraft, a type rating is required to undertake an in-depth course of study into all areas of the specific aircraft and its operations. Why is Type Rating necessary? Type rating is necessary because it assures airlines and regulatory bodies (EASA in Europe, FAA in the USA etc.) that you are fully qualified to operate a particular aircraft – it means you have a very good knowledge of a particular aircraft and its system navigation, various protocols and procedures. Fortunately, many commercial aircraft share type ratings, allowing qualified pilots to operate both of them with minimal transition training. Examples include Boeing 757 and Boeing 767, Boeing 777 and Boeing 787, Airbus A330 and Airbus A340, and all of the members of the A320 family (the A318, A319, A320, and A321). How to Earn a Type Rating? However, earning a type rating is not an easy task. You will must fully dedicate yourself – working at a chosen training academy or ATO during a daytime and hitting the books in the evenings. Fortunately, you can prepare a bit even before your type rating training course starts. There are many of books (or you can get them from your training provider) which could help you to get to know a particular aircraft better by analysing its performance features and systems. No doubt, some of them might be confusing without an instructor’s guide but any preparation will ease the moment when your elbows are deep in the systems. To be more precise, we will shortly introduce you with the whole type rating training course and its phases. Your first step will be to take a theoretical and practical system training which are selected on the basis of their capacity to present the individual system’s operation in the most realistic and productive manner. Secondly, you will have your practical training with an FFS of your chosen type. After a successful completion of training in the FFS, you will have to perform flight training, which usually takes about 60 days. The total period of your type rating training might take up to 1.5 months, which is not a long time compared to your training to acquire a CPL, ATPL or PPL licence. Where to Get a Type Rating? If you are wondering where you could get a type rating training, we will help you with the answer. 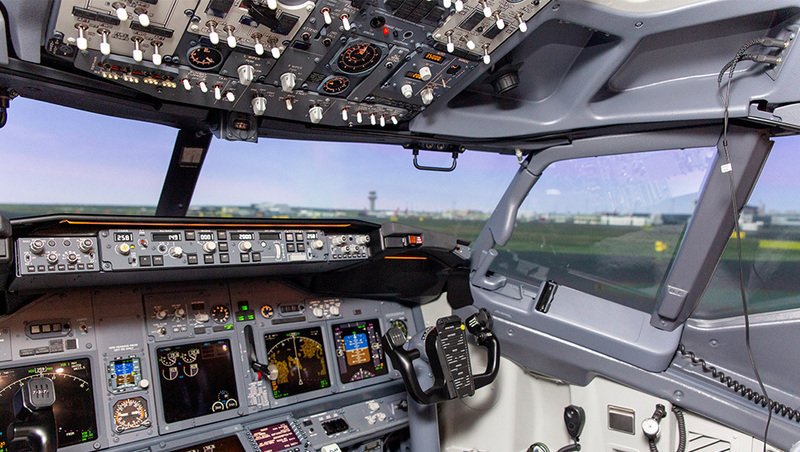 Many pilot training centres, academies, ATOs provide type rating training for different aircraft types. If you already have acquired your CPL or ATPL licence, you can apply straight to a chosen training centre for your type rating training. Afterwards, you will be able to propose your candidature for many airlines, according to your chosen aircraft type. Another option is to apply for a Cadet Type Rating Program within the chosen airline and get a First Officer’s seat right after completion of your training. Many training organisations have partnerships with different airlines for type rating training and you are able to choose which one you are willing to work for afterwards. How to Choose a Type? 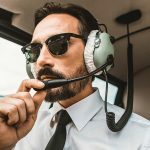 Once you have decided to seek for a professional commercial pilot career, be wise and immediately start looking for Type Rating training that suits you. Before making any major decisions, don’t forget about your personal needs. If you are looking for a pilot job which could allow you to get back to your family every day, choose the region wisely. Usually, short-haul flights are mainly common while working for a low-cost carrier or for regional airlines. However, if your dream is to cross the ocean operating aircraft, look for a job at major airlines. Before making any decisions, do a thorough research on aircraft popularity and major market players in the chosen area. Also, keep in mind, that there are several main brand manufacturers in aviation industry like Boeing, Airbus, Embraer, Bombardier and others. The main rivalry remains between two major companies, Airbus and Boeing, and certain aircraft families produced by them. Different manufacturers produce aircraft which mainly differ by control systems, the level of automation or the matter of design. Whether you want to directly affect the plane’s control or enjoy a highly automated system – the final decision depends on you. You also must think about your dream employer. Without any doubts, airline companies are the main player in the market which directly affects every pilot’s career. Make a list of the best airlines you are willing to work for.